I was sitting in a church meeting one day when I notice my nails were growing away from the nail bed. Agh! I freaked out. With a lot of research I found that nails that grow away from the nail bed can be a result of chemotherapy, including letrozole which is the cancer drug I have to take. I spent long hours trying to learn what I could do to stop this from getting worse (nail fungus can grow in nails like these creating hard, thick, yellow nails) and finally found a small study of four people with the same problem who found that drinking carrot juice fixed it. It was a small group but all four were cured. I decided to pull out my juicer and give it a try. It worked! Evidentially, carrot juice is good for nails, hair and skin. I started drinking it and lo and behold, the nail problem went away. It also stopped my nails from being so brittle. Now I try to drink a couple of glasses of carrot juice per week for my nails, hair, and skin. Carrot juice is a great soup base too. It’s really amazing how quickly it improved my nails. Juicing requires a juicer. There are some very simple ones for orange, lemon, lime, and grapefruit juice that work fine. But for carrots, celery, and other hard vegetables a more powerful juicer is necessary. 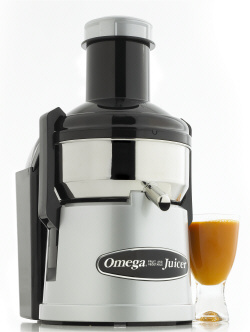 I settled on the wide mouth Omega centrifugal juicer since I don’t juice very often, usually drink it right away, and do not juice leafy vegetables. The wide mouth was important to me because I don’t have to cut my carrots into little pieces. It is just so much easier this way. Keep in mind that juicing takes out all the fiber that slows the absorption of sugar. It also contains no fat or protein and is not a complete meal so it adds calories, and it requires buying a lot of vegetables. Finding this cure for my nails was a great relief. I had to scour the Internet to find it but finding a cure for our human weaknesses is much easier. That cure is written in the New Testament of the Bible. All through the Old Testament we read how God’s beloved Israel could not keep God’s law. It is sometimes disappointing to read how often our heroes mess up. Why did Eve eat that apple? Why did David stay home from the battle and fall for the wife of a soldier loyal to him? Why do we all make mistakes? God says that even if we follow all the laws He has demanded and break only one, we are condemned. The only cure we have is in Jesus Christ whom God has chosen to be our Savior. There is no other answer in heaven or on earth. The saving grace of Jesus Christ is available to us. This is God’s great secret revealed through the life and death of His most favored son. Jesus is the answer to our mess ups and the gateway to eternal life. But there are still more God secrets to be revealed. What will heaven be like? Revelations says there will be no more tears. That’s a big hint. Take some time to imagine it because it will be the greatest adventure yet. A couple of years ago I had gotten really sick. I thought it was my gallbladder. After researching, one of the things I found was starting your day with carrot juice. I loved it. When I finally went the doctor, there were no gallstones. I believe I was healed! Wow, that is amazing. I just love to hear stuff like that. I’m so happy for you. Gallstones can make us very sick. Another great reason for me to keep drinking carrot juice.